Wow… Recommending a Book Men Should Read for Elle.com. Sometimes, the chance to do something really neat comes out of the blue. I got an email from elle.com asking if I might recommend a book that I think men should read. To be honest, I thought it was a spam or phishing attempt at first–I have no idea how Elle would have even known I existed–but the email seemed genuine, and the person really was an editor. It turns out that, yes, I had the chance to recommend a book for men, on Elle’s website, and I wanted to make sure I didn’t screw it up. 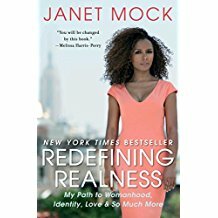 I thought about books to recommend, and decided it would have to be Janet Mock’s Redefining Realness. There are lots of amazing books out there, but her book does such a great job of presenting race/class/gender/sexuality (and yes, there was Hawaiian pidgin English in it)–all issues we need to discuss now more than ever. 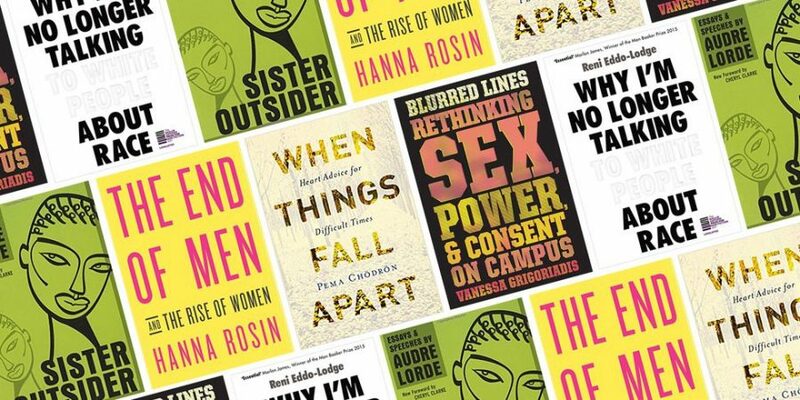 So many great books on this list!